Desc: 14 karat white gold heart shaped Sapphire and diamond pendant. 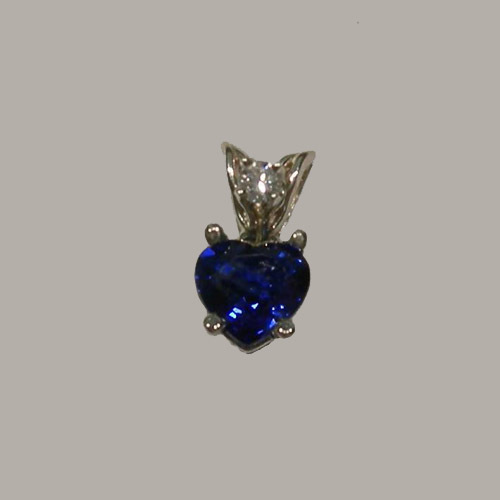 The heart shaped sapphire is mounted with four prongs in a white gold wire basket mounting. The diamond is prong set above the sapphire. The bale is rabbit ear design.